Labourer is the most dangerous job in Australia according to a report by government agency Safe Work Australia. In 2017, the most recent year on record, 56 labourers sadly died on the job. Many of them worked in agriculture, forestry and related fields, an industry that was responsible for 52 out of 190 work-related deaths in the country in 2017. Farmer or farm manager was third on the list of most dangerous professions, with 21 people getting killed in 2017. 44 people died because their job was driving a car, truck, rail engine or other vehicle. 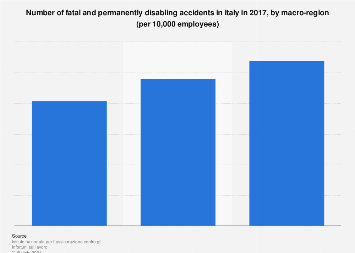 Almost on par with agriculture, the transport, postal and warehousing industry was responsible for 54 of the 190 on-the-job deaths of 2017. The deadliest vehicle was the tractor, according to the report, killing 40, followed by the quad bike, which was responsible for 37 work-related deaths. 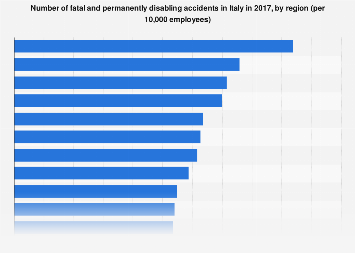 The rate of deadly workplace incidents has fallen in Australia, with 1.5 workers per 100,000 inhabitants dying on the job in 2017, compared to 3 workers per 100,000 inhabitants in 2007. 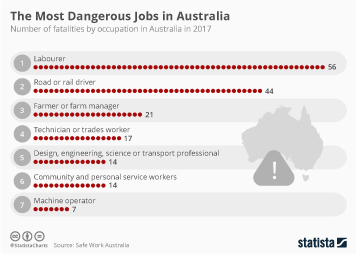 This chart lists the most dangerous professions in Australia.